a new freelance writer living in Melbourne. Keen to try new places and things and write up great reviews! This country club has a lot to offer; golf memberships, wonderful bistro menu, functions, but my review is about their wedding functions. Having recently had the privilege of having my own wedding here, I can honestly say this is a great place for your wedding if you are looking for something fairly low key, simple but elegant. 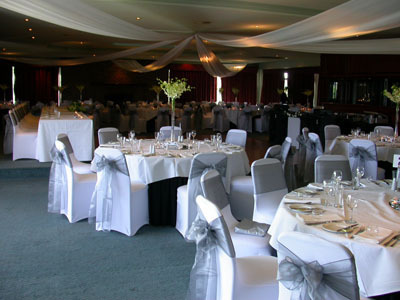 The Chirnside Park Country Club has many options to suit your personal wedding requirements.They offer the formal sit down menu, or a simple cocktail style buffet. The prices are very reasonable, and can cater to suit your budget, depending on the package you choose. Their prices include meals and drinks, table and room decorations. There is no need to bring anything, unless you have something special you want to contribute to the décor. 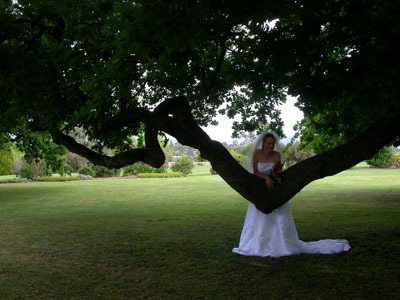 Included in your per person pricing is the use of their beautiful green grounds for your ceremony. They have a 150 year old Oak tree that most couples choose to have their ceremony underneath. It provides a perfect place for those images you want to capture for your special day. There is no need to go anywhere for your photos, making the day hassle and stress free, and what I enjoyed was my family and friends could stay and watch while they enjoyed some drinks of the decking. The Chirnside Park Country Club provides you with your own wedding coordinator who has plenty of experience with weddings and functions and is with you every step of the way. They really make the whole day run smoothly for you, making it easy for you and your partner to relax and enjoy your special day. They can cater for up to 400 people depending on the style of reception you choose. The team at The Chirnside Park Country Club made my special day memorable and I recommend this venue to anyone looking for a beautiful place to have their own wedding.